Investigative workshops are an important tool to open up new ways to approach the subject. These workshops are not about sharing specific knowledge but about research and how to transform research into tangible results. It enables us to work with specialists and passionate amateurs from different fields of expertise and test some of the more speculative aspects of the investigation in a playful and creative way. The Incredible Shrinking Man initiates workshops but can also be invited to organize workshops within specific situations, institutions and companies. If you’re interested in organizing an Incredible Shrinking Man workshop please contact us. 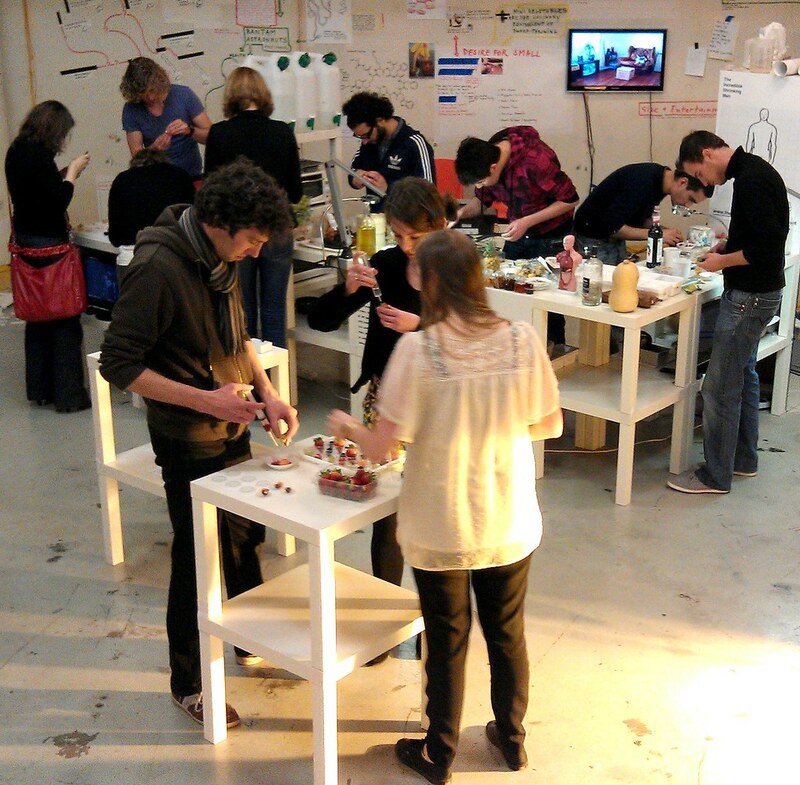 The image shows the first ever workshop during the Transnatural Festival back in 2011. The subject was Future Food. What will we eat if we’re small? How will we grow it? What new tastes, textures and products become available at a much smaller size?